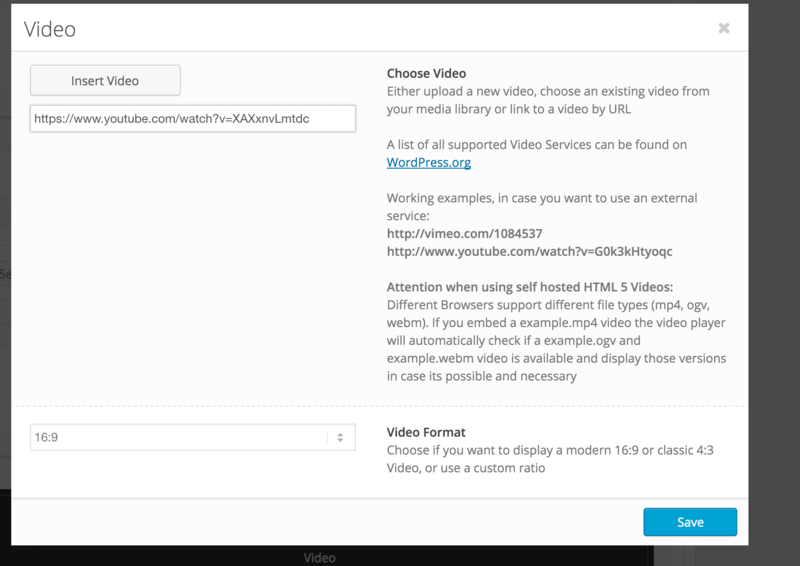 Click on pages and edit the page that has video on it. This will either be home or video. 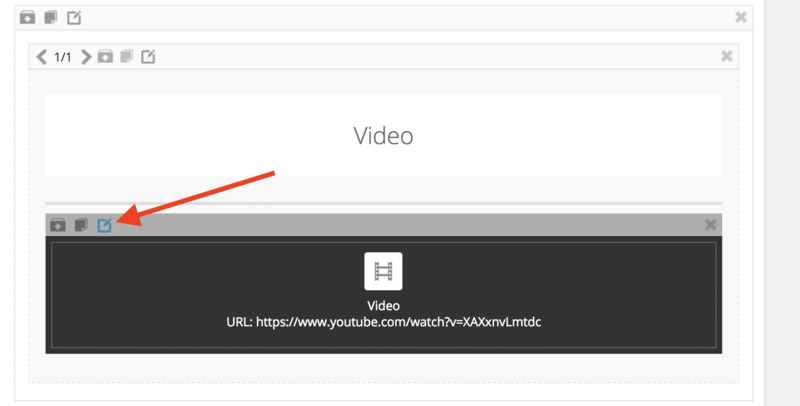 Copy and paste in a link to a new video that you want to add then click save. 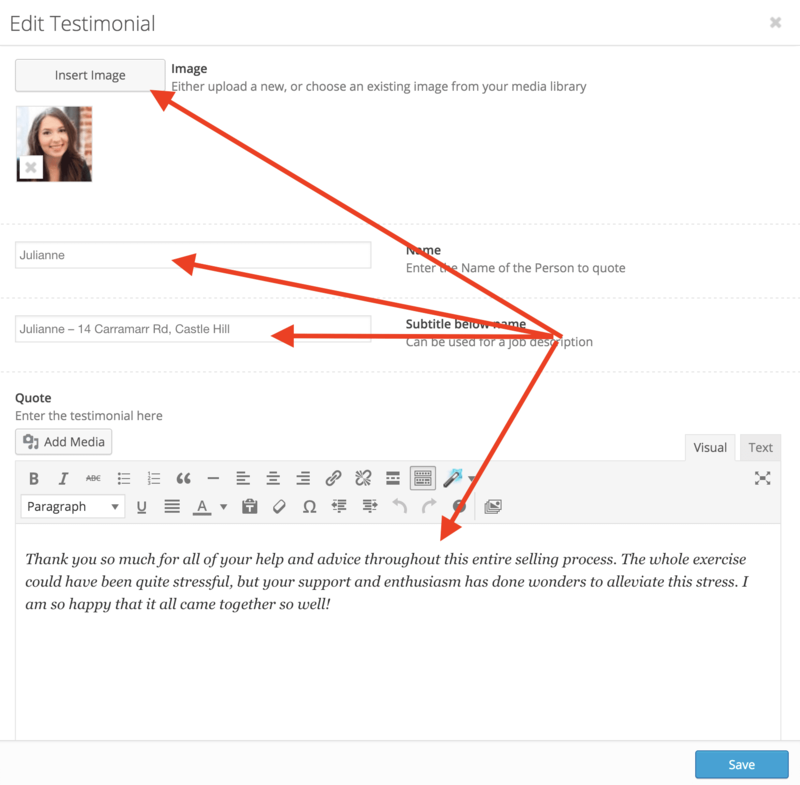 How to add and edit testimonials. Click on pages and then edit the page that has your testimonials on it. 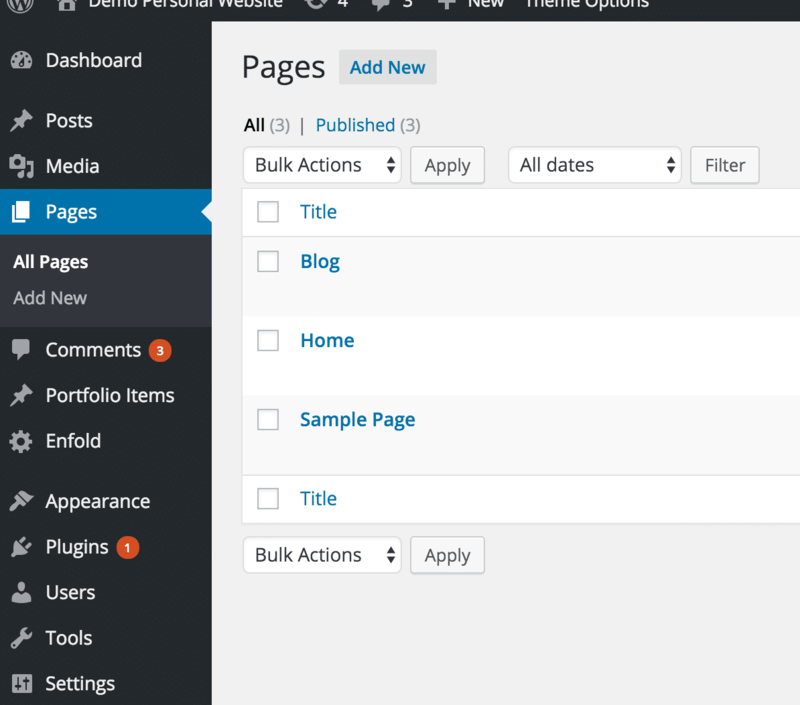 In most cases this will either be a home page or testimonials page. Scroll to the testimonials section and click edit. 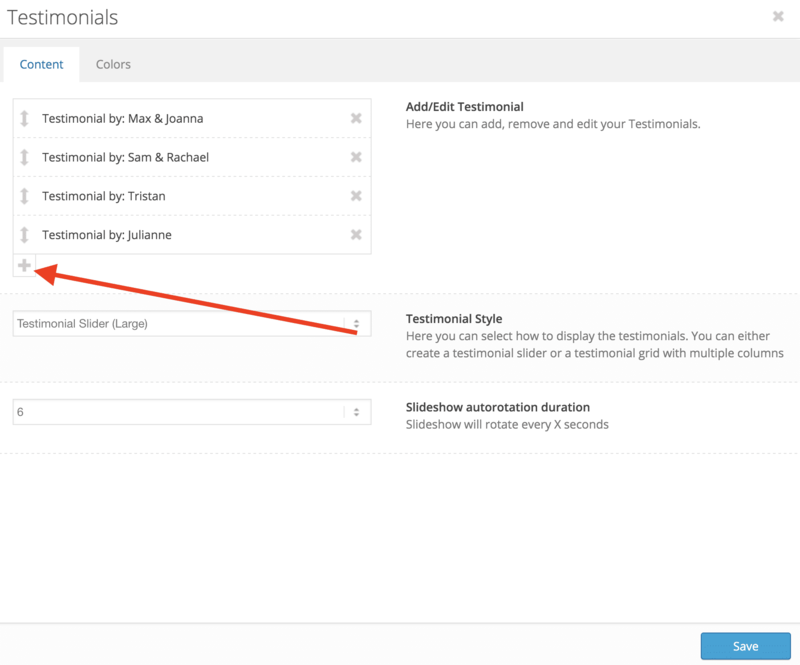 This will then show you a list of your current testimonials which you can edit by clicking on or add a new testimonial by clicking the plus button. After you have added this information, save the testimonial and click publish on the page. http://www.personalagentsites.com.au/wp-content/uploads/2016/03/Screen-Shot-2016-04-05-at-3.45.51-PM.png 278 700 Kyran Doyle http://personalagentsites.com.au/wp-content/uploads/2016/04/image006.png Kyran Doyle2015-03-22 12:12:352016-04-05 06:09:30How to add and edit testimonials. As Real Estate Agents your time is a valuable commodity. You are often working on the fly, in the field at a moments notice. Replying to emails can take up a large part of your day. Most of the time in emails, you are answering the same questions or saying relatively the same things. 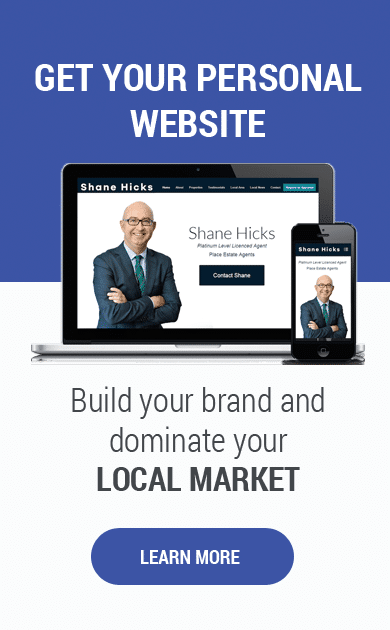 As a Real Estate Agent your personal brand is everything to you. It’s the instantly recognisable first thought that comes to somebodies mind when somebody thinks of you. Social Media is a great way to get in front of people in your local area. The ability to reach thousands of people interested in you and your service is a vital resource for real estate agents, and is why more an more agents are becoming active on social media. Are you hoping your child will take on the same career that you have as property agent? Well, we have placed a checklist to know if your kid will be just like you in the future! Here’s our 5 Signs your kid will become a Property Agent.